Love, love, love this paper! For those of you unfamiliar with kraft, it's known as a more casual paper, but as of late has risen to more semi-formal occasions. It's typically a brown, natural-looking paper with little darker flecks in it. Kraft can be bleached to be (almost) white, but the most popular form is brown. Prepare to be amazed by what you're about to see. Really. You'll see how the casual nature of kraft is transformed to be something completely different. Kraft can be so versatile: from cutesy and informal to natural and elegant. There is one way to dress up kraft that we absolutely love here at Ann Elizabeth... and that is lace. Lace is (in our humble opinion) such a gorgeous way to "pretty up" the comfort of kraft. See for yourself in our inspiration board below! Whether kraft is the star of your wedding invitation ensemble or if there's simply a kiss of kraft, it's sure to be a success. Are you thinking of using kraft as part of your wedding, party, or other celebration? Tell us about it in the comments below. We love to hear how everyone uses kraft in such diverse ways. That's all for today- thanks for stopping by. Don't forget to share this inspiration board with your friends! Tweet it, Pin it, Facebook it. 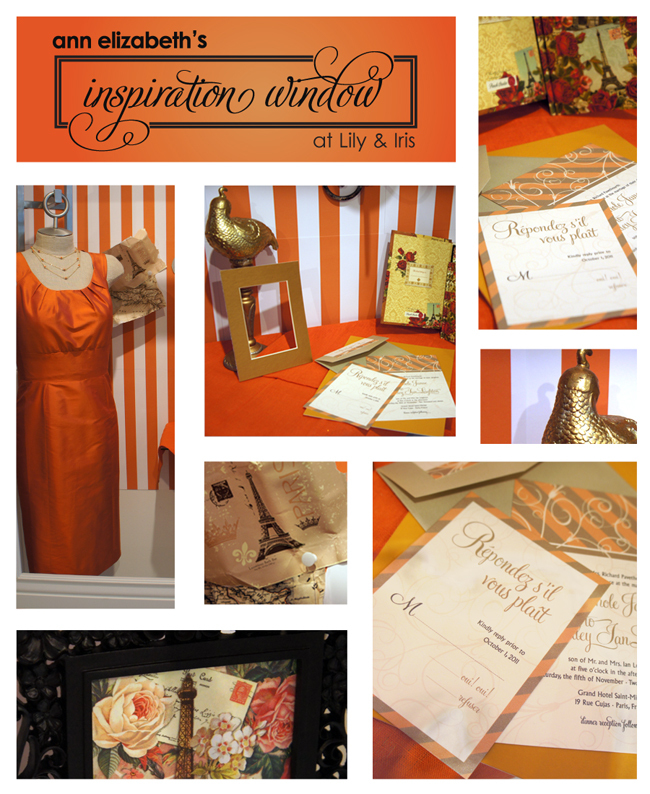 If you've been to Lily & Iris lately, you would have noticed our fabulous, orange display in their Inspiration Window. If you haven't, this post is for you, because the display recently came down. We loved that hint-of-vintage feel so much that we couldn't resist giving you one last look! Check it out for yourself! We love the pairing of gold, white, and black. 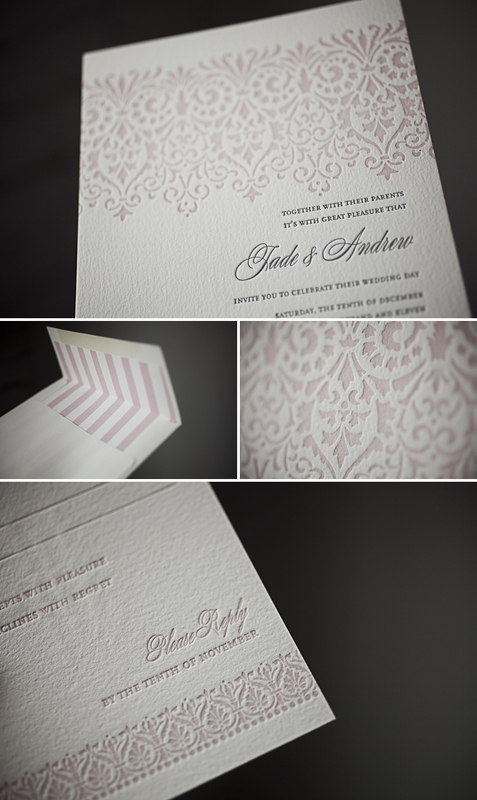 This invitation suite is the perfect combination of glitz & glamour, and a nod to masculinity through the structure of the classic Art Deco font. The script font is a nice addition as well; it brings an elegance to the art deco motif. Fantastic! 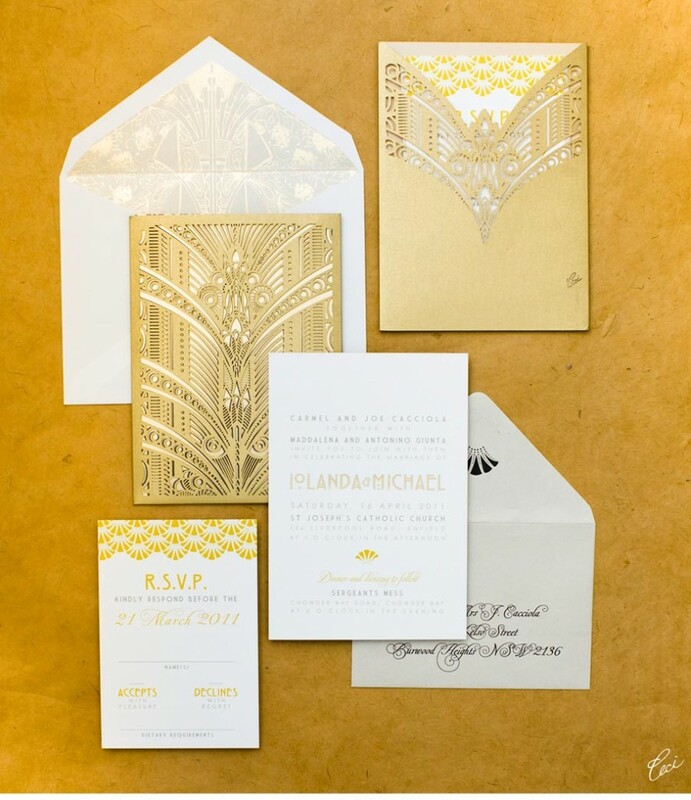 Thinking about an Art Deco themed wedding? Here's a great place to start. Check out this article by the style expert for the featured wedding, Natalie Dene-Luke of Intique & Co Styling House. Ok. So I realize it’s been a while since I last posted, and I also realize my last post was about letterpress… But— what can I say? The obsession with letterpress lives strong, and frankly, I don’t see it leaving any time soon. Or ever. 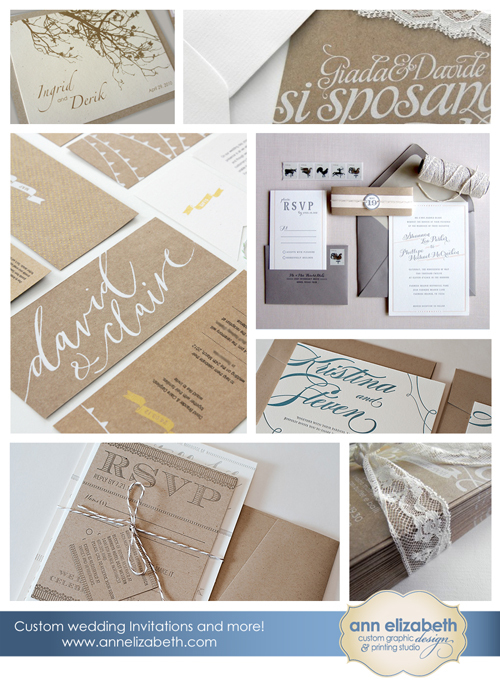 So, without further ado, my friends, lay your eyes on letterpress perfection: Wisteria by Beth Ann Seal for Bella Figura. I feel like more words are unnecessary, besides KUDOS, Beth Ann. Just fabulous!